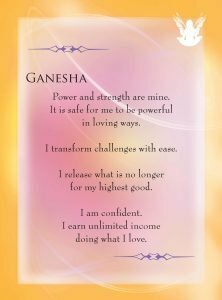 Affirmation: Power and strength are mine. It is safe for me to be powerful in loving ways. 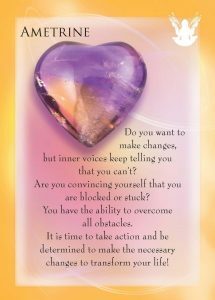 The transformation of challenges, negative patterns, and unhealthy habits occurs daily in my life. I release what is no longer for my highest good. I am confident. 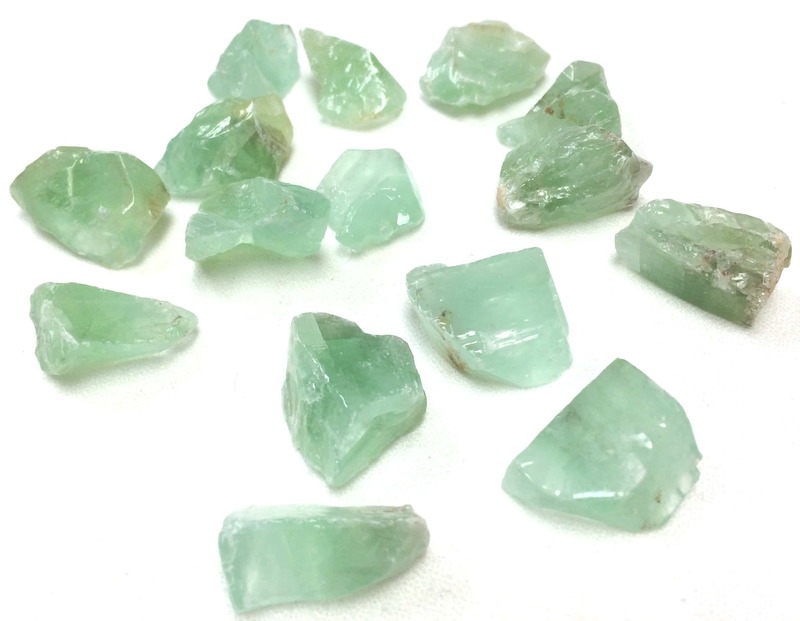 About the stone: Bi-color quartz (silicon dioxide) made up of amethyst and citrine. The Anahi Mine in Bolivia produces natural ametrine; however much of the ametrine on the market before 1989 was heat treated. 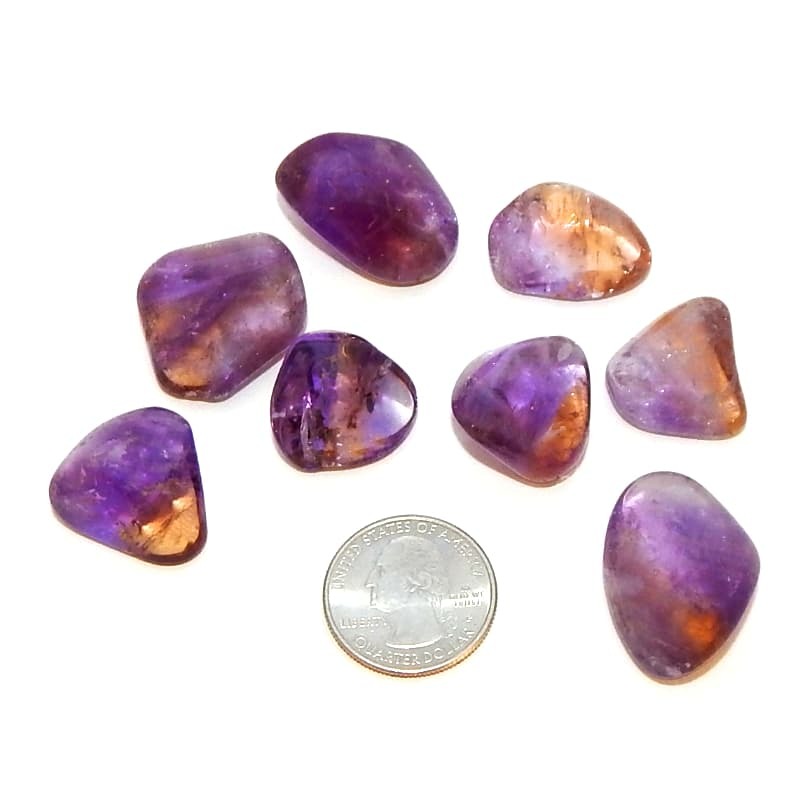 Spiritual uses: Ametrine is a powerful spiritual tool, with the power of amethyst to transform and transmute negativity and the power of the citrine to boost self-confidence to achieve your heart’s desires. 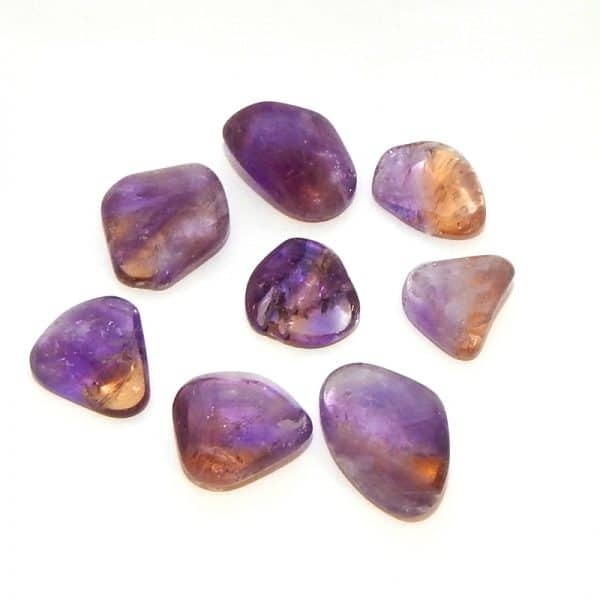 Mental uses: Ametrine helps to clear your mind, allowing you to realize the power of your intention and your thoughts. You can do anything! 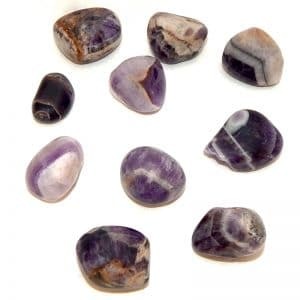 Emotional uses:The vibration of the purple helps to transform and transmute negative emotions and releases the hooks that others have in your emotional body. The yellow encourages the ability to discern the right people, places, and situations that you allow into your life. It helps you during times when you need to have the courage to set boundaries with others. 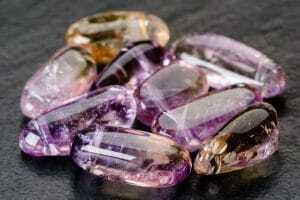 Physical uses: Ametrine is also beneficial for kidneys, liver, spleen, pancreas, and gall bladder. Use it as an aid for uncovering the root cause of any imbalance or disease.